King Zebra are a glam/sleaze rock band from Switzerland formed in 2012, releasing their debut album 'Greatest Hits' in 2013, with the follow up 'Wild! Wild! Wild!' two years later. The band underwent some line-up changes over the next couple of years, including a replacement singer, released a number of singles throughout 2018, including 'That's What I Like', and in 2019 King Zebra will release their self titled E.P. Featuring the three singles King Zebra released last year and two new songs, the E.P. 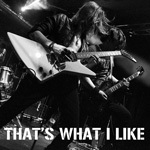 gets the party started with the explosive and bombastic 'That's What I Like', all heavy hitting riffs and galloping rhythms. 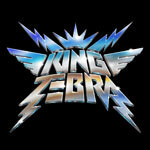 Adrenalin pumping and punchy hard rock is what King Zebra offer, and in abundance this release has it. The bands self titled (and I guess title) song, 'King Zebra' displays the iconic guitar sound synonymous with the legendary NWOBHM sound that evolved during the early eighties. 'King Zebra' will undoubtedly become a stage favourite and become one of their most well known and iconic songs, similar to 'Iron Maiden' by err, Iron Maiden... Bringing the E.P. to a bombastic close is the up tempo and highly energetic 'Bad Reputation'. Blood pumping, fist punching, jumping up and down and generally acting like a maniac, fans are gonna go wild for this one, as 'Bad Reputation' becomes a crowd favourite in a live arena. Overall, hard hitting hard rock, heavily influenced by the sleaze rock scene of the late eighties/early nineties, King Zebra deliver catchy and infectious rock.